What Car? TV: Towcar awards | What Car? 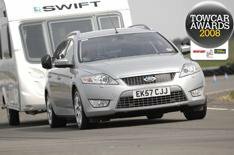 We've put dozens of cars through their paces to find out what's the best towcar on sale today. Cick on the links below to watch this year's winners.